The overseas arm of China Tobacco will list in Hong Kong. Sales abroad are growing. But most of its revenue comes from importing leaves for its parent, a monopoly in a country where 300 million people light up. That’s a lot of risky exposure to dated anti-smoking policies. 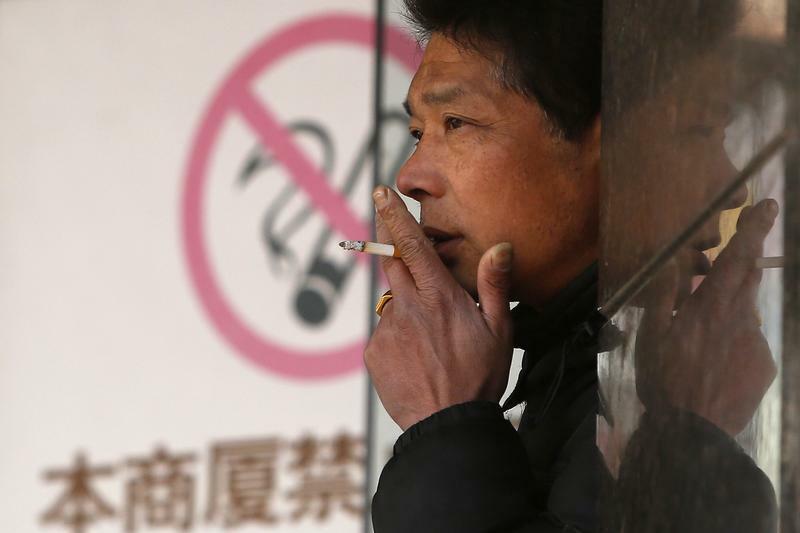 A man smokes in front of a "no smoking" sign outside a shopping mall in Shanghai January 10, 2014. Now, rising public awareness about the hazards of smoking, coupled with China's hardening stance on smoking in public, is opening up an opportunity for e-cigarettes to make inroads into the world's biggest tobacco market. Picture taken January 10, 2014. China Tobacco International, a subsidiary of the state-owned cigarette giant China National Tobacco, filed for an initial public offering in Hong Kong, according to pre-listing documents issued on Jan. 2. The overseas unit buys tobacco leaf products abroad for sale to Chinese manufacturers. It also has a monopoly on the country’s cigarette exports business, mostly for sale in duty-free shops catering to Chinese tourists abroad. The listing will raise about $100 million, Reuters reported on Jan. 2, citing a source. It did not specify pricing details. The company says it plans to use the capital to purchase new cigarette brands and expand its presence in Southeast Asia, among other things.